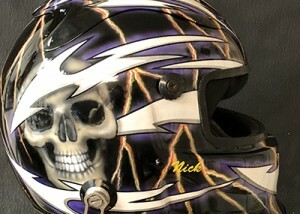 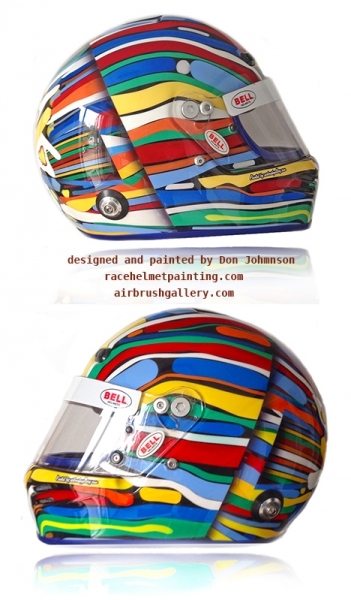 All helmet painting and design by Don Johnson. 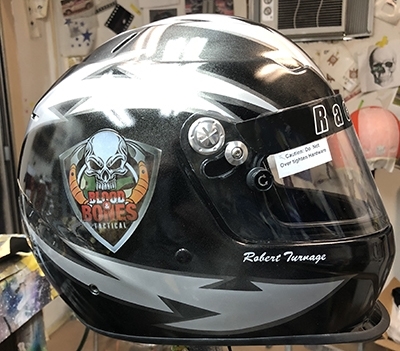 Give me a call or text 1-352-361-3403 any time I would be happy to discuss working with you on designing, painting your helmet. 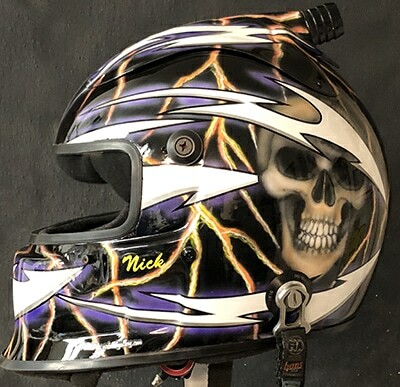 Helmet designs you see here are all the original helmet designs I have done for customers. 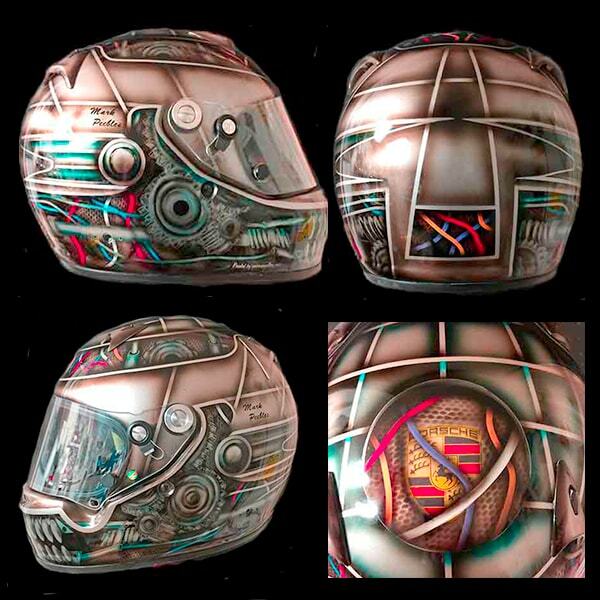 The only limit to a helmet design is your imagination and with my help, we can go beyond that. 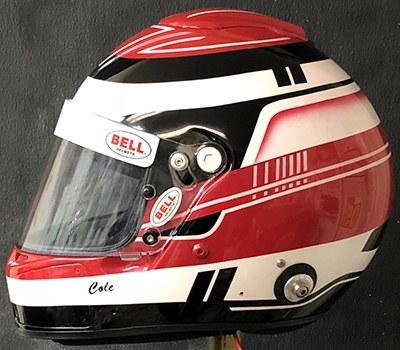 I’m an authorized retailer of Bell race helmets. 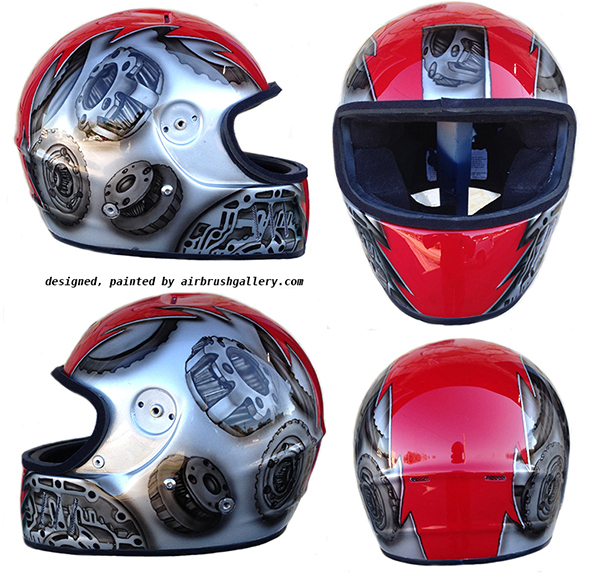 As with any business my work is based on the time required and material costs. 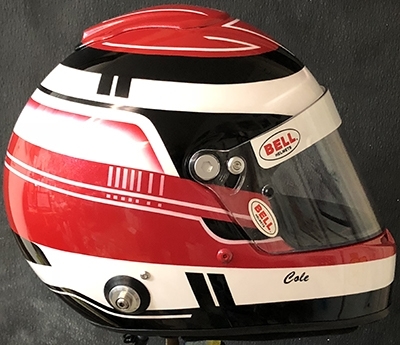 I’m happy to work with you to stay within your realistic budget. 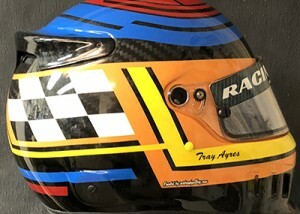 Call or text 1-352-361-3403 now to discuss your project now!! 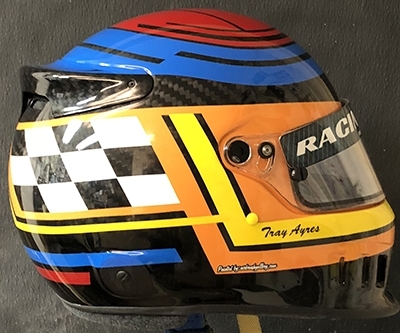 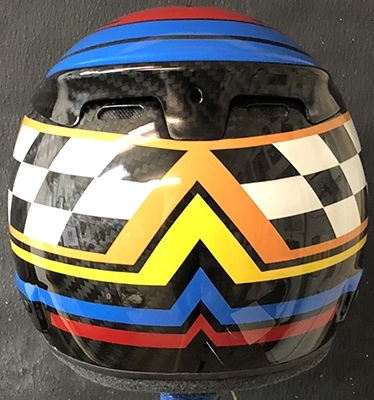 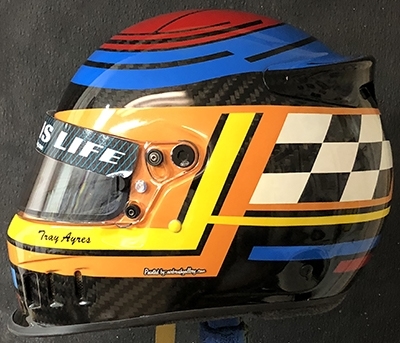 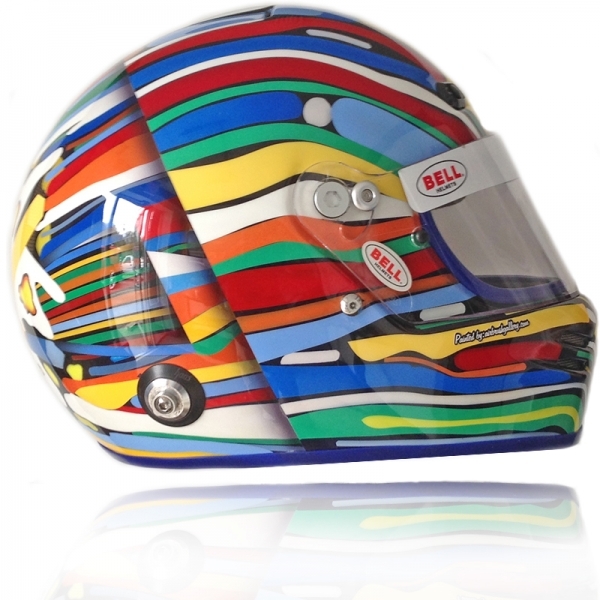 RACE HELMET PAINTING COSTS – detailed info on pricing, choose which plan you want to go with. 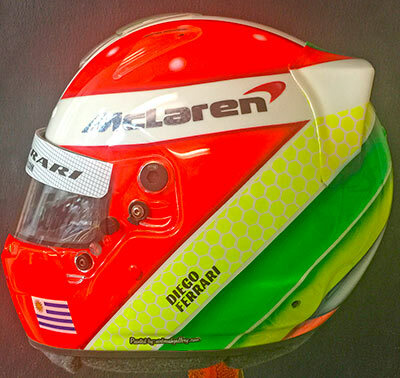 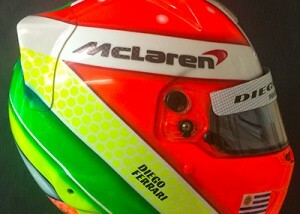 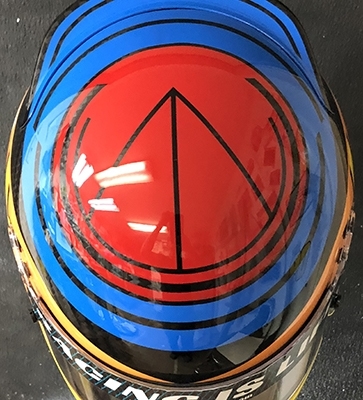 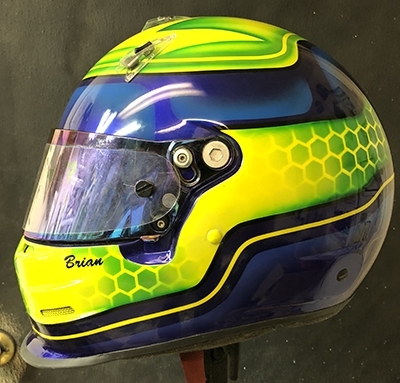 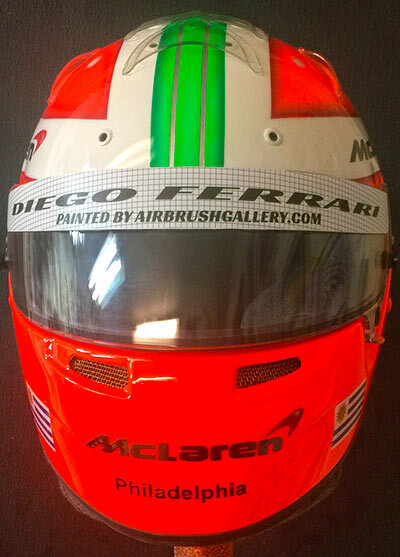 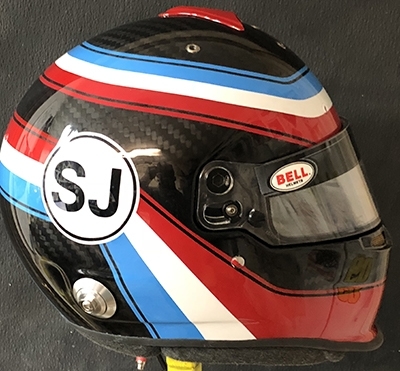 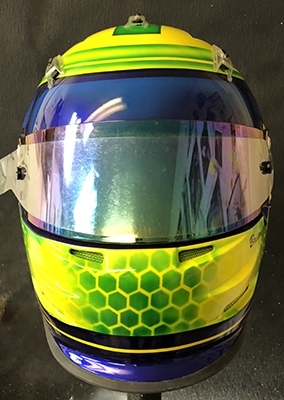 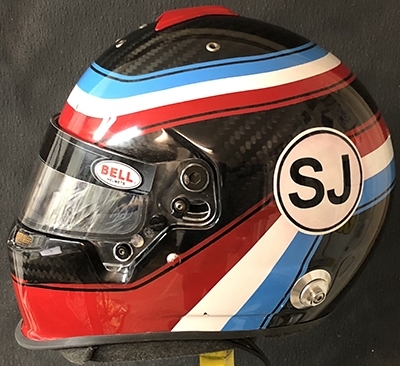 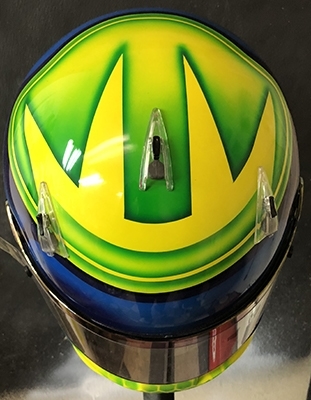 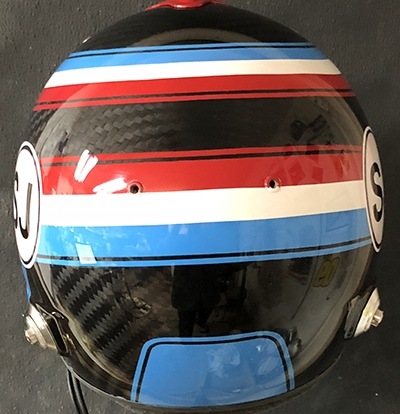 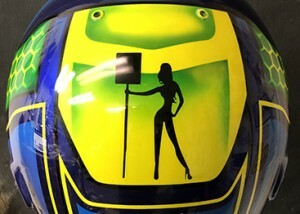 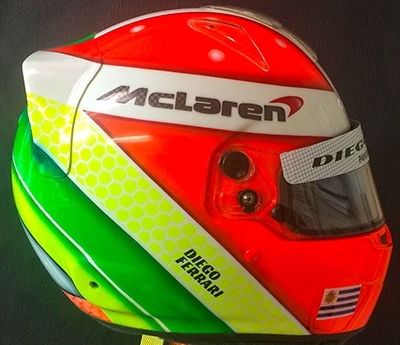 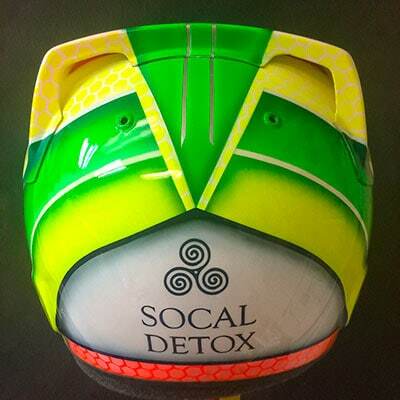 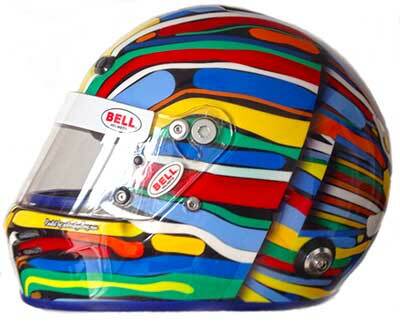 STORE – Buy your Bell race here and receive 10% discount on having me paint the helmet. 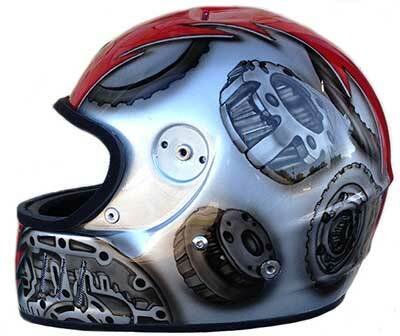 How long will it take to complete your helmet design? 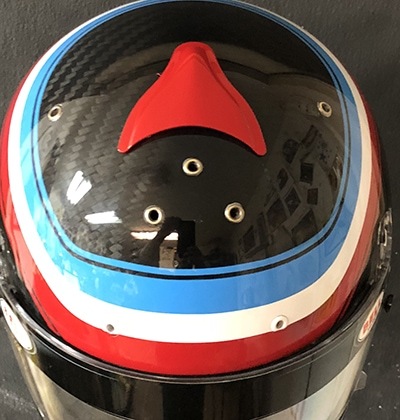 Generally ten days to two weeks depending on the time of year it might take a little longer. 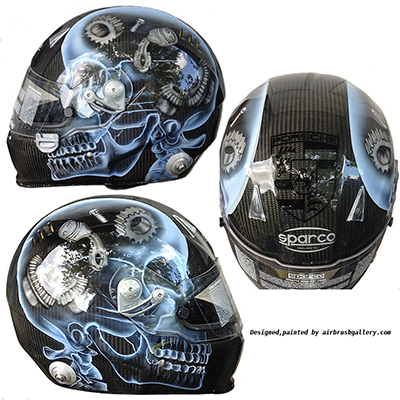 I do offer an express service if you have a very tight time frame to get the helmet done. 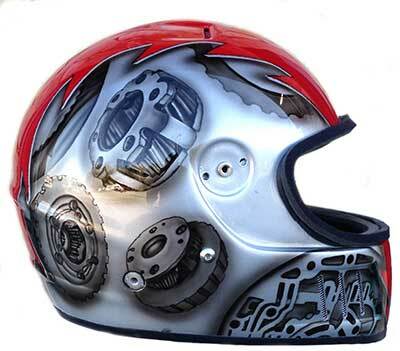 There is an extra fee for the express service as it requires working whatever kind of extra hours required to get the helmet completed to meet your deadline. 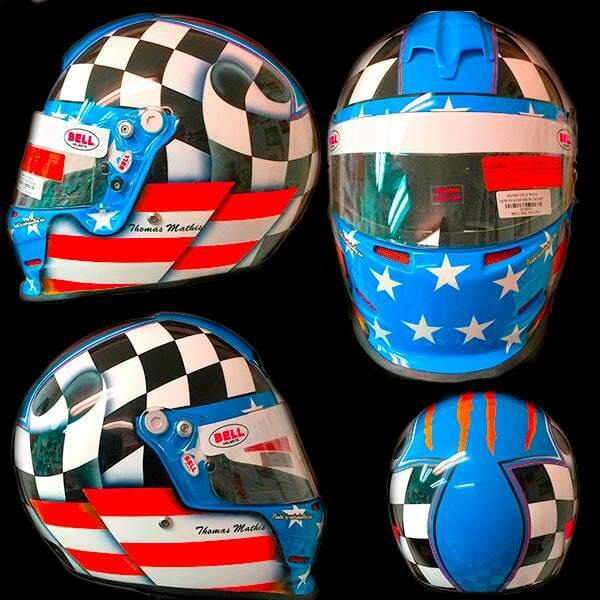 Call or text 1-352-361-3403 to discuss having me design, paint your helmet. 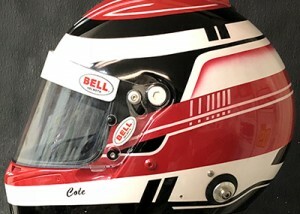 I’m proud to be an authorized Bell Helmet retailer and you can shop for your next new helmet in my store here. 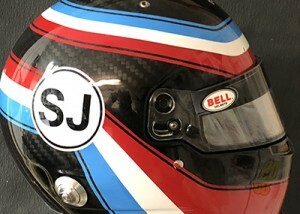 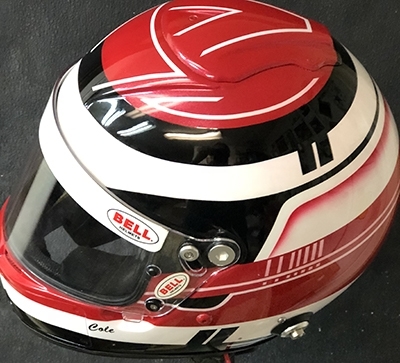 Receive a 10% discount on the cost of having me design and paint your helmet when you purchase your help thru my Bell Helmet Store. 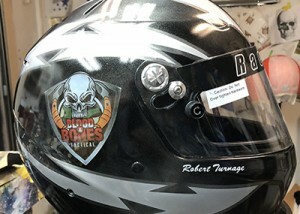 If you are buying a helmet and going to have it painted please buy gloss finish not flat or matte finish. 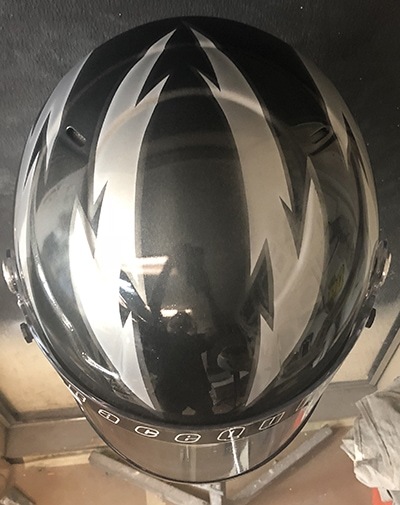 Flat or matte finishes require extra work to paint those finishes cannot just be scuffed and painted. 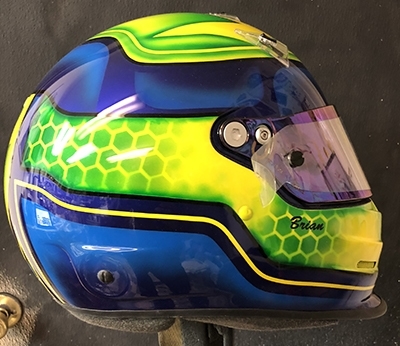 Buying a gloss finish helmet will save you money as the extra work required to paint over a matte or flat finish will be reflected in the cost of having your helmet painted. 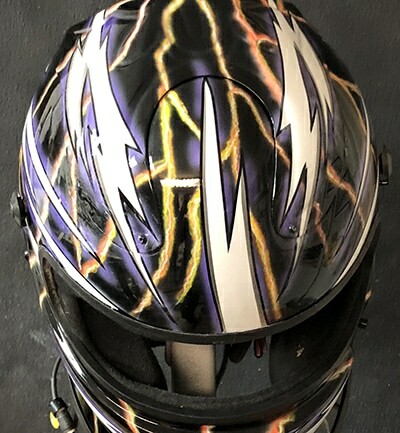 Please buy a solid color helmet not one with factory graphics on it. 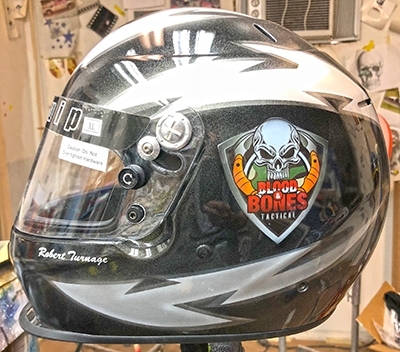 Painting over factory graphics requires extra work and will raise the cost of having the helmet painted. 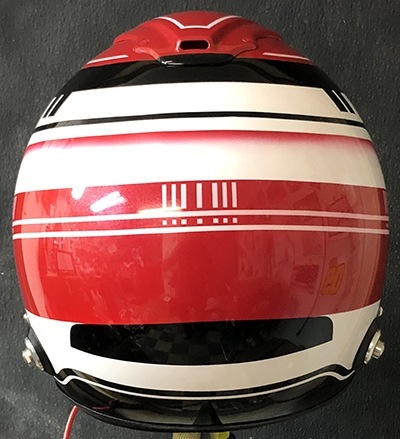 Please wait to have radio equipment installed after the helmet is painted. 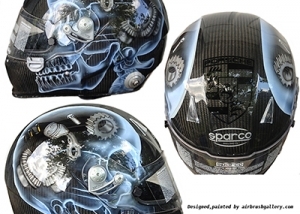 I will be happy to work with you to come up with the perfect helmet design for your new helmet. 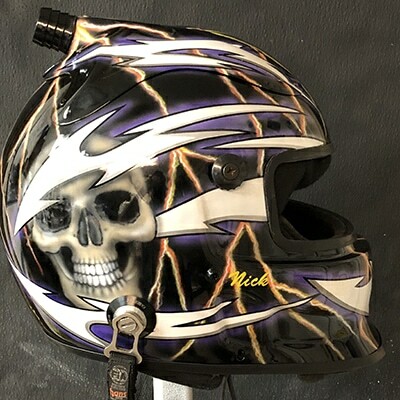 To provide me with a good idea of what you like it a helmet design I will request you send me three pictures of helmet design you like. 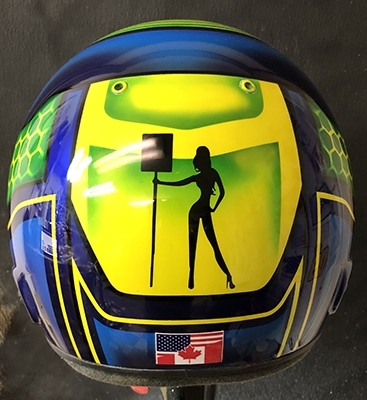 (search google images). 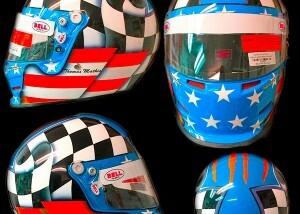 From the three helmet examples, I can come with a race helmet design you call all your own. 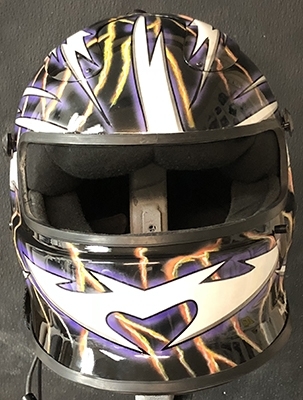 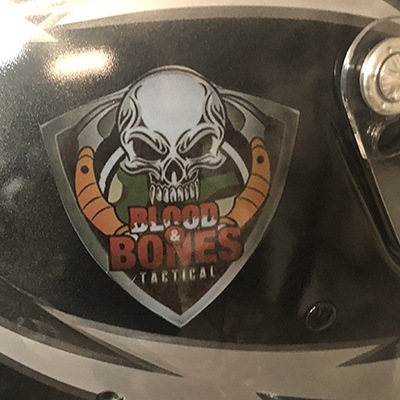 Please be sure to provide me with all the info, logo’s, names, numbers you want to be incorporated into your helmet design at the start of the design process. 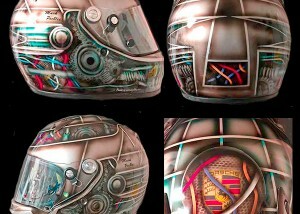 HELMET DESIGN PROCESS – on that page you can read more about how I go about coming up with a race helmet design.